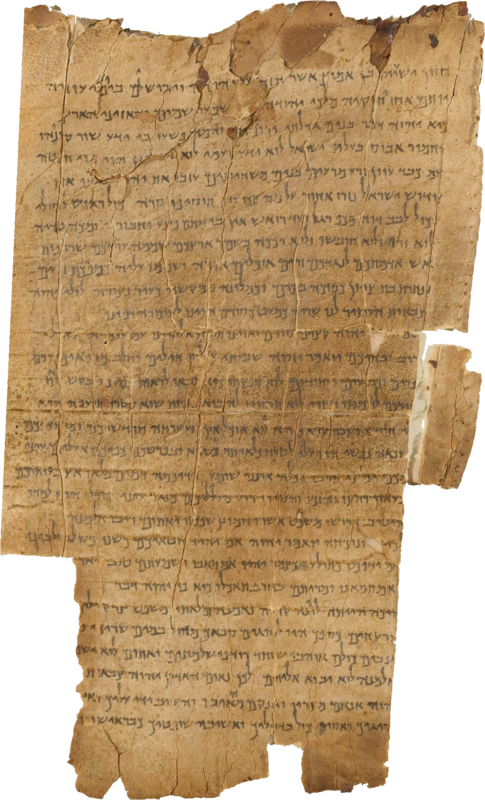 This is a graphic excerpt of the beginning of the Isaiah scroll retrieved from The Israel Museum, Jerusalem, collection picture of the Great Isaiah Scroll dated from about 125 BCE. 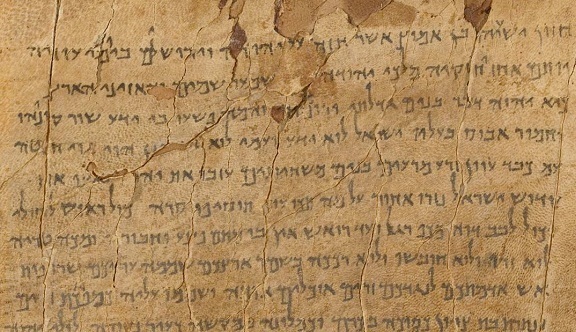 Approximately the first six verses are shown. I suspect this is the work of a student. There are numerous spelling corrections and unevenness in the writing. High resolution (300 dpi) 5" by 8" full page graphic in color (4MB) and B/W (2MB). This is a demonstration of directly matching the letters of the modern Hebrew script to the letters of the script of the Isaiah scroll. It covers the first two verses of Isaiah. 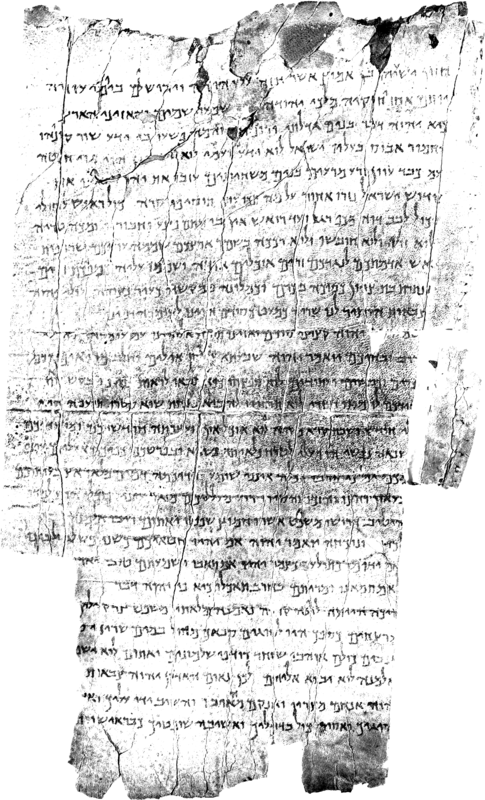 The Latin transliteration and Hebrew script are copied from the IAUA Transliteration of this website. There is a lot of similarity. Remember, Hebrew reads from right to left which is not familiar but the letters of the Latin transliteration read from left to right as you are familiar. The letters of the Latin word transliteration are in order but each word is positioned over its Hebrew equivalent word so the order of the Latin words is right to left, which is unfamiliar. I hope this is not too confusing. I hope you can see the similarity of the ancient letters and the modern Hebrew counterparts. The scroll segments and the words are magnified significantly to improve recognition.